Miles Soloman is just 17-year-old. But recently, he was in news for pointing out an error in NASA’s data which the organisation had collected from the International Space Station (ISS). Soloman is an A-level student from Tapton School in Sheffield, UK. 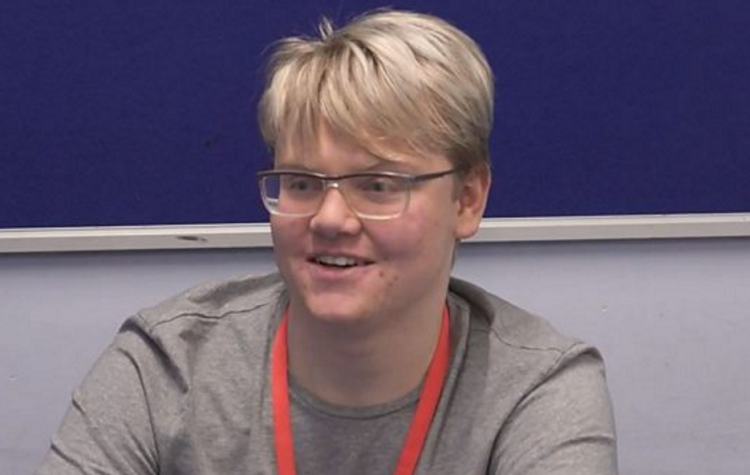 ((break)) He along with his fellow students were working on NASA’s TimPix project – it provides students across the UK access to data collected from the space station to look for patterns or anomalies that might lead to further discoveries. The teenager found that the radiation sensors on ISS were recording false data. He then e-mailed scientists at NASA about the same. NASA is said to have ‘appreciated’ the correction, and also invited him to help analyse the problem. The youngsters at school were given Timepix measurements in a giant pile of excel spreadsheets to analyse the radiation levels on the ISS. While studying the data, Soloman noticed that a negative reading was being recorded even when nothing hit the detector. Since you can’t get negative energy, he and his teacher James O’Neill pointed this error to NASA. NASA is reported to have said that it was aware of the error but believed it to be happening only once or twice a year. However, Soloman found that the error was happening multiple times a day.